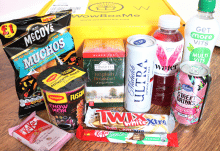 I’ve been sent a Premium box, packed with lots and lots of yummy things. This month’s theme is Beach Party! There are some lovely fresh, fruity, and tropical flavours in this box, so grab your bucket and spade and let’s dig in! Here’s the lovely shipping box. I’ve never had any damaged items, which is not bad considering how many postal services it has had to endure. On top is their lovely menu booklet. 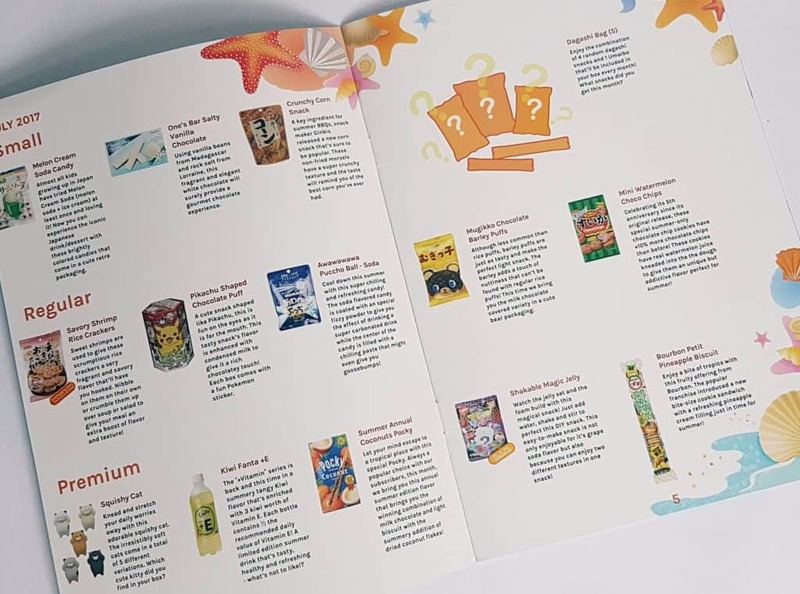 It contains an impressive list, with descriptions, of what your box of goodies contains. 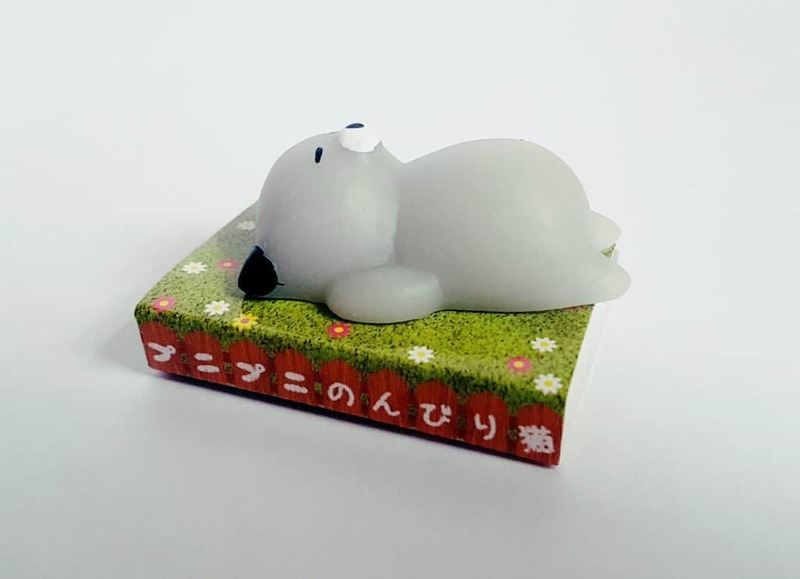 It also has information about the specialist item, the DIY candy instructions, and some information on Japanese culture relevant to the theme. So much cool stuff! 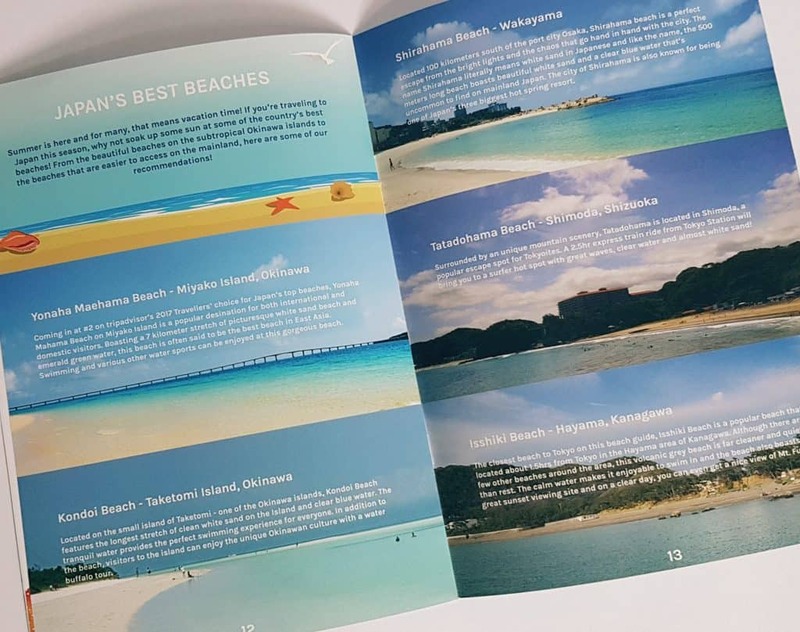 I never really thought of Japan as a beach-y place, so it’s nice to know that beaches are definitely a thing. We have long-range plans to visit Japan, and now I can add a trip to the beach to our list of things to do! First out is the Dagashi Bag. 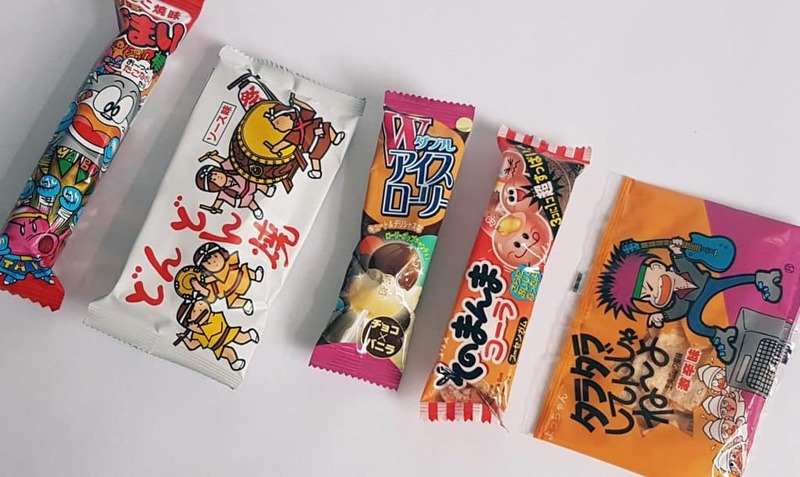 Dagashi are kind of like penny sweets or pocket money sweets. You get a random selection, though it always contains an Umaibo stick, which is my favourite thing ever. Because I’m so thorough I’m going to tell you, from left to right, what each item is. Umaibo: This one is Takoyaki flavour, which is a kind of fried octopus ball. Sadly I can’t eat this one because I’m allergic to seafood. Boooooo. 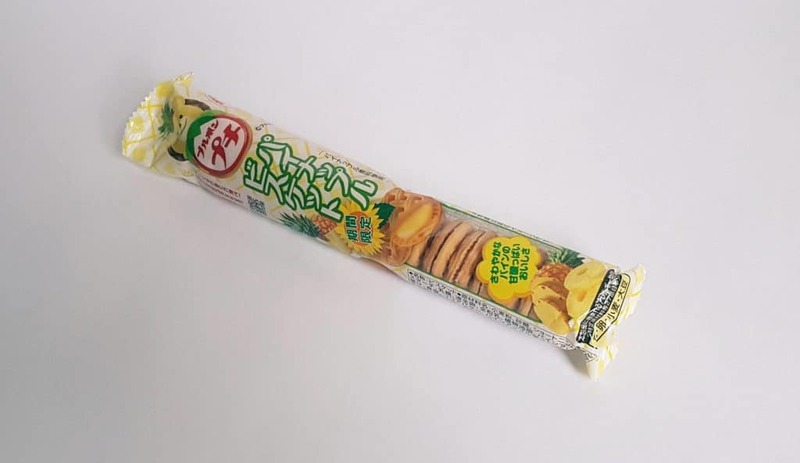 This one involved rather a lot of Google Translate, but as far as I can tell it’s called Yakinin, and is a rice cake flavoured with octopus sauce. Dammit. Next is Yachin Double Lolly in chocolate and vanilla. Basically a double lollipop that tastes like chocolate and vanilla ice cream. Coris Cola Gum consists of three little gumballs with soft centres. BUT one of them is actually super-sour! And you can’t tell which one it is. Check out the little faces on the package. Finally is Taratara, a sweet/salty snack of little squares. According to Google translate it contains ‘fish meat’, so this is another one for me to avoid. I do love the packaging, though, look at that raging rocker! 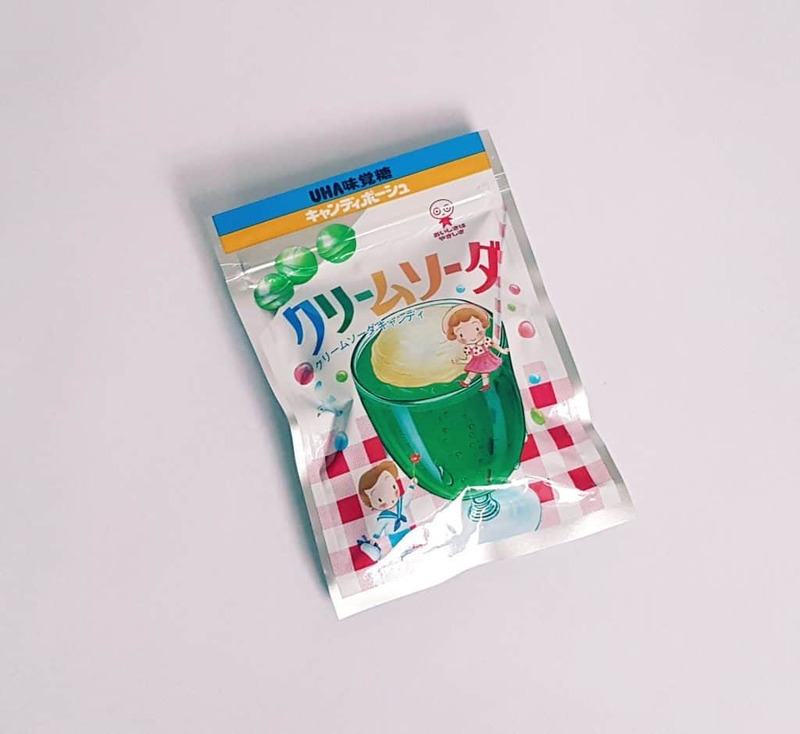 In Japan a very popular drink/dessert with children is Melon Cream Soda, which is basically like a coke float but with melon soda instead of coke. This is Melon Cream Soda Candy, basically the sweetie version of this drink. While you can easily find melons in the UK, it’s not a standard flavour in sweets, so this is a lovely and original thing to try. Cute retro packaging too! 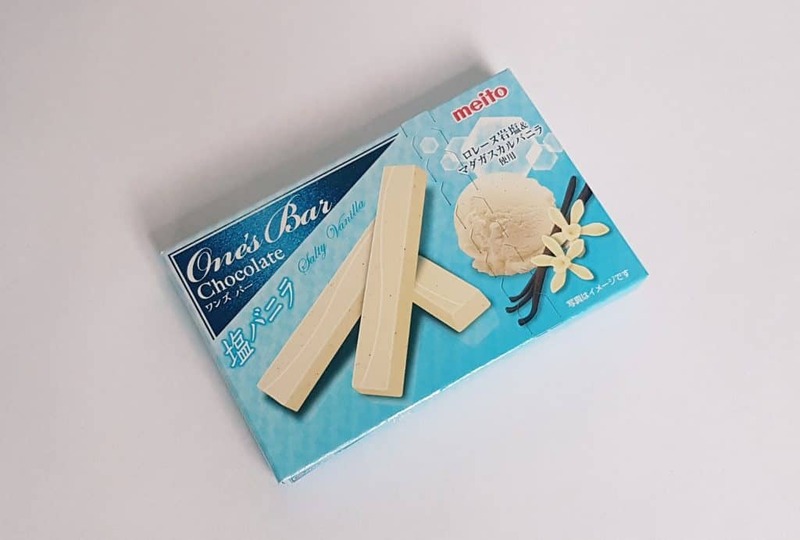 This One’s Bar Salty Vanilla Chocolate sounds slightly odd but is really rather delicious. We usually associate salted chocolate with milk chocolate, but this white version with Madagascan vanilla and Lorraine rock salt works very well. Corn snacks are a big thing in Japan, but instead of the usual puffed snacks these are almost like tiny crispy breadsticks. 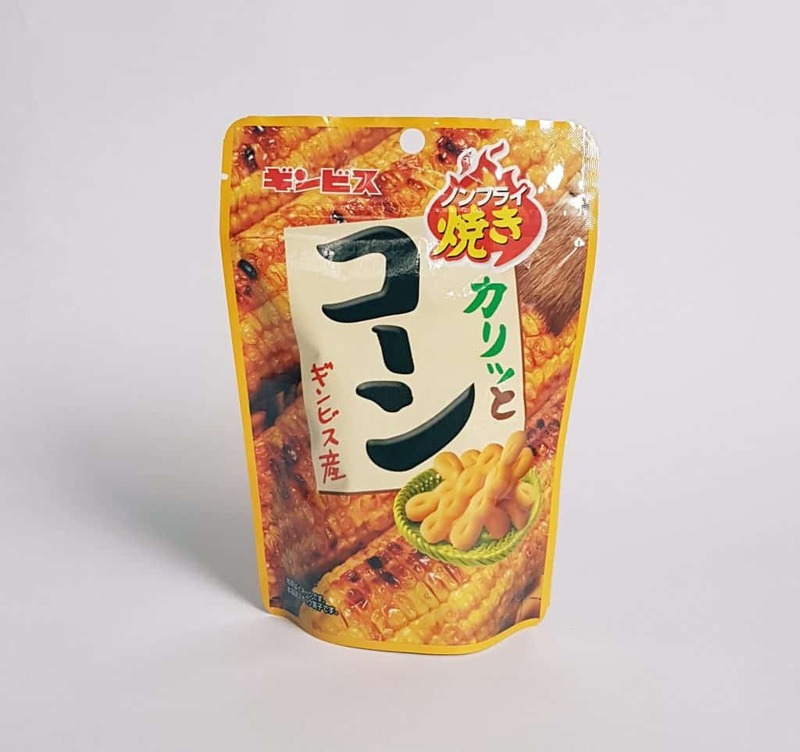 This Crunchy Corn Snack really does taste extraordinarily like sweetcorn, which of course is a pretty common sight on barbecues at this time of year! Savory Shrimp Rice Crackers are another thing to go into our ‘not for Merith’ box of seafood-related snacks. They are little rice cakes flavoured with those tiny sweet shrimp, and can be eaten alone or crumbled into soup or salad. 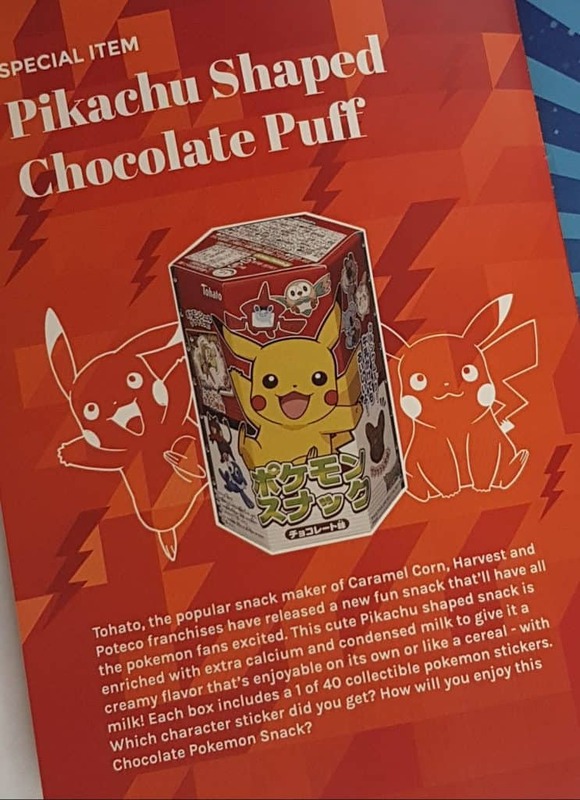 Pikachu Shaped Chocolate Puff is this month’s Special item. 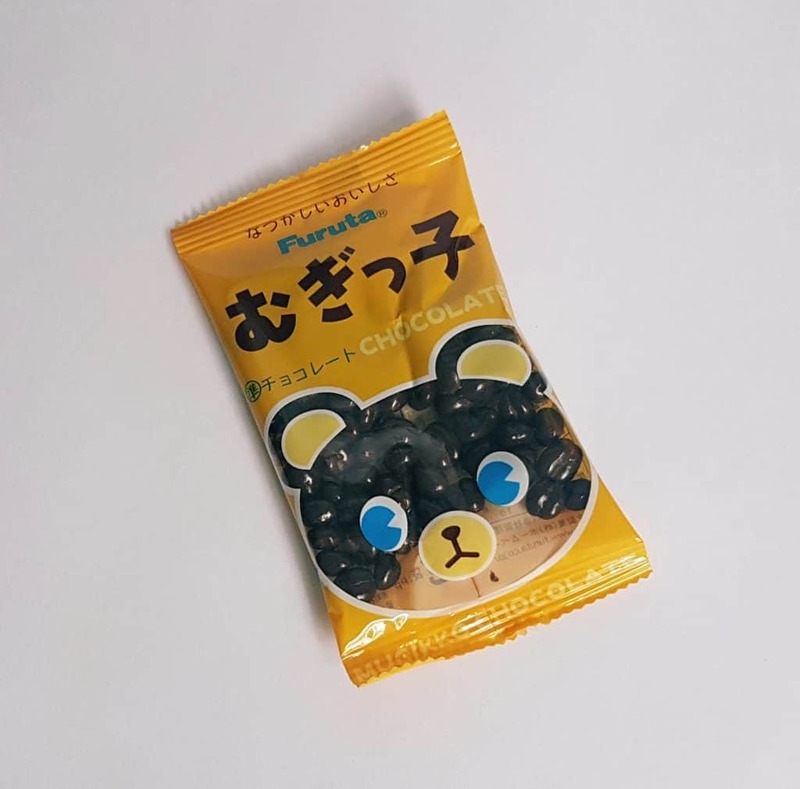 They are tiny Pikachu-shaped corn puffs with condensed milk and extra calcuim, and can be eaten alone or with milk, like cereal. 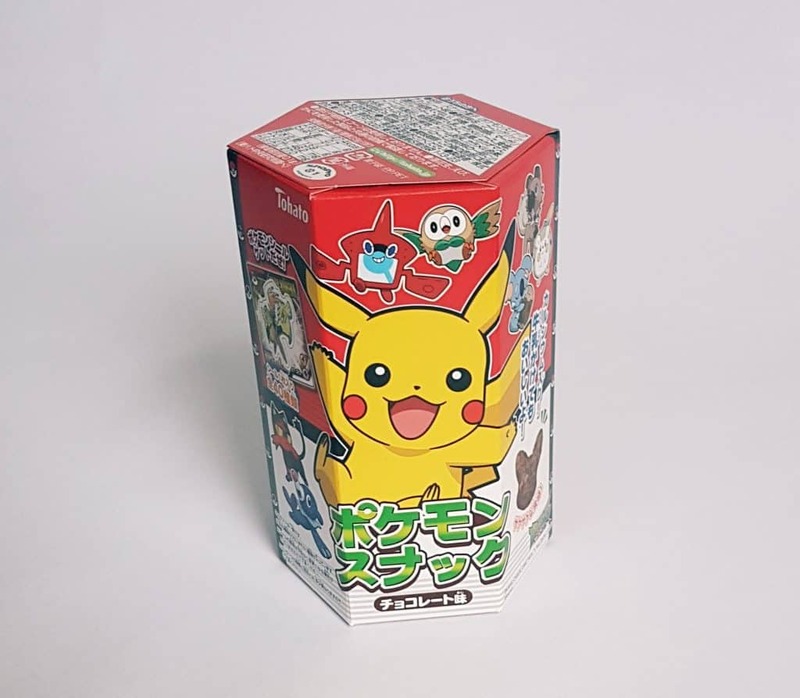 Great for Pokemon fans, and each box also contains a bonus sticker! The splendidly-named Awawawawa Puccho Ball – Soda is supposed to give you the experience of a super-fizzy soda in a candy. The coating is indeed incredibly and delightfully fizzy. The candy in the middle isn’t quite as exciting; I can’t work out the exact flavour, but it’s basically a ramune (Japanese soda) flavour. You’ve heard of chocolate covered rice puffs, right? Well, these are Mugikko Chocolate Barley Puffs. 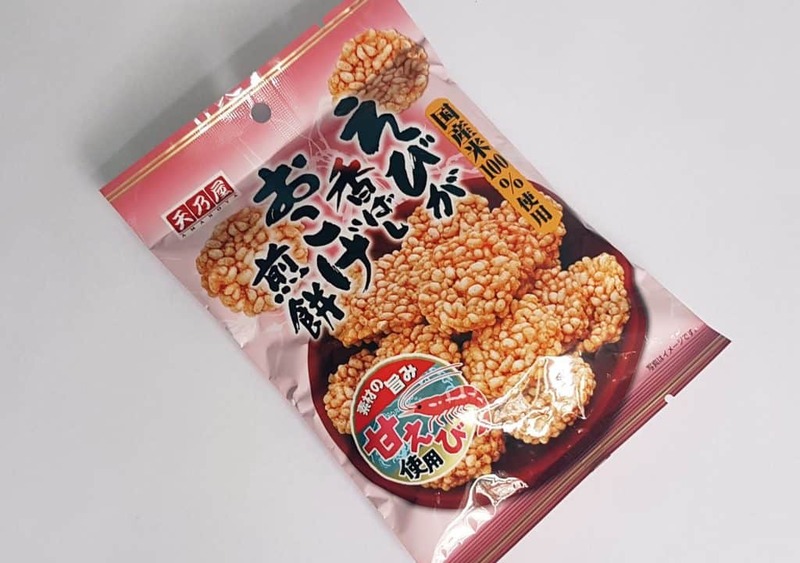 They’re very similar to rice puffs, but with a slight nutty flavour. 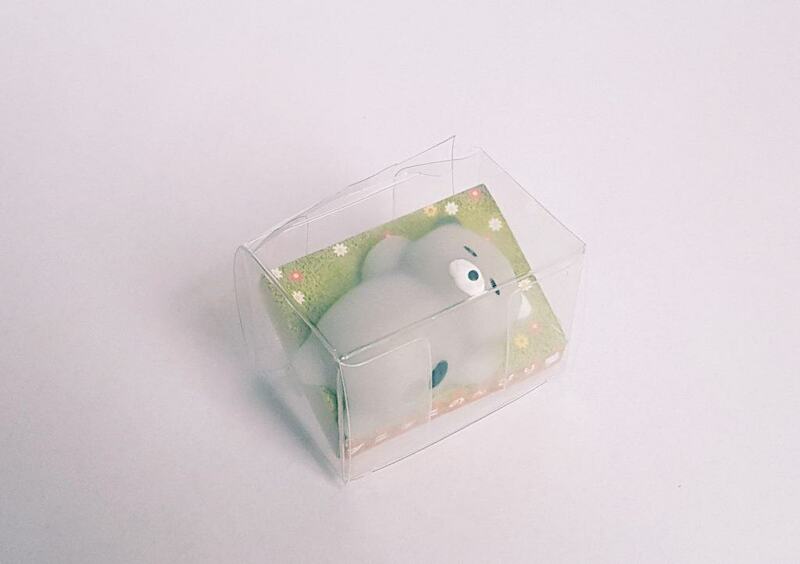 The bear packaging is also incredibly cute. 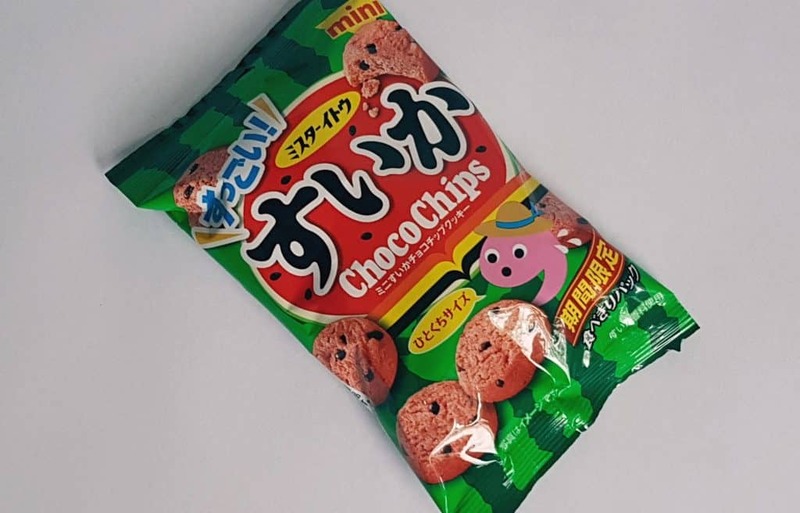 Here is another melon-related item, this time watermelon: Mini Watermelon Choco Chips. These tiny chocolate chip cookies taste of watermelon. It shouldn’t work but it does. These little cookies are a summer-only special edition, and apparently contain 10% more chocolate chips than last year. Having no basis for comparison I can’t comment, but they certainly contain a reasonable quantity of chocolate! 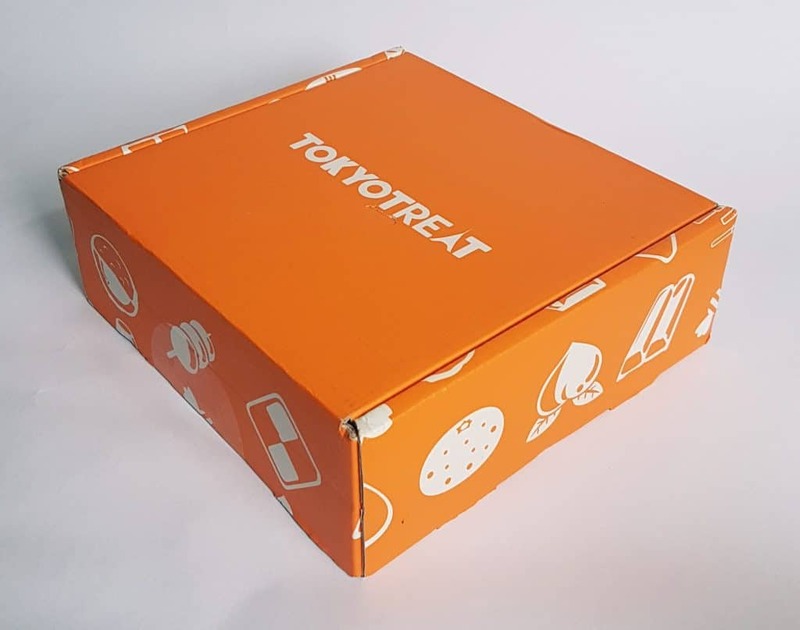 Every TokyoTreat Premium box contains a drink. 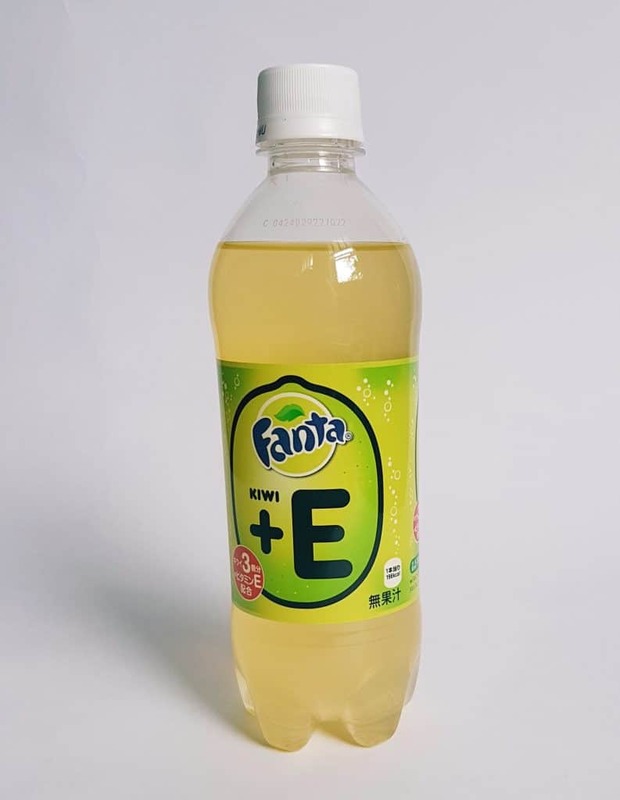 This month we have Kiwi Fanta +E. In the UK we usually associate Fanta with orange, though they do a few more fruity flavours. This version is not only kiwi-flavoured but has added Vitamin E: three kiwis’ worth, which is apparently half your recommended daily amount. Now, I’m never convinced by the notion of a sugary soda being healthy in any way, no matter how many vitamins they are supposed to contain. Leaving aside any health claims, this is a lovely refreshing drink, perfect for summer! I love Pocky! You can usually find a few flavours in shops in Chinatown or similar, but the choice is very small. In Japan they have heaps of different varieties, often in limited editions. 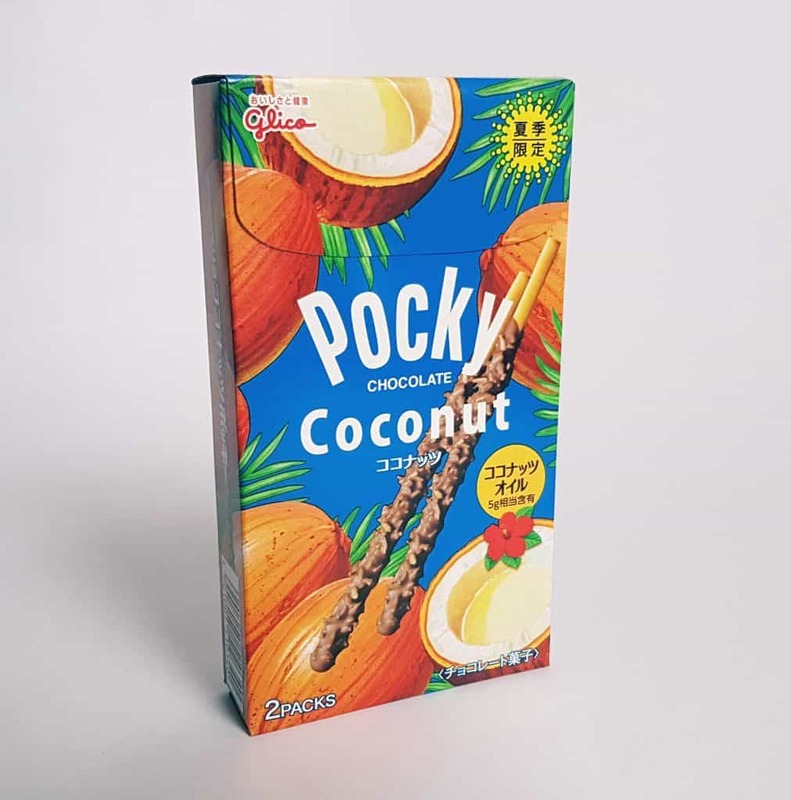 This Summer Annual Coconut Pocky is their annual summer flavour, and is covered in milk chocolate and flakes of dried coconut. Delicious! 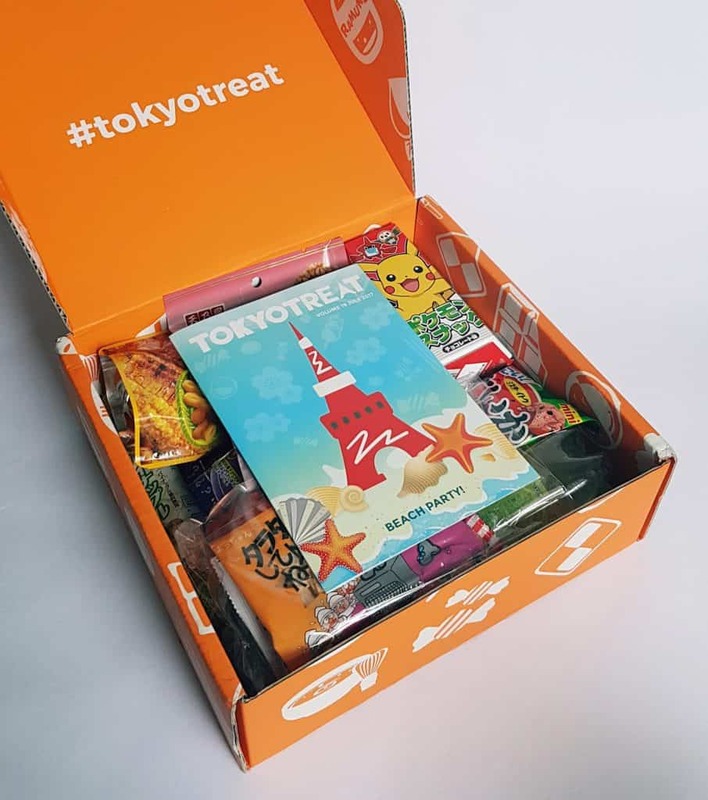 The Premium Box also contains a DIY candy kit. This concept is pretty big in Japan, and while some kits are more involved than others, they are generally a lot of fun. 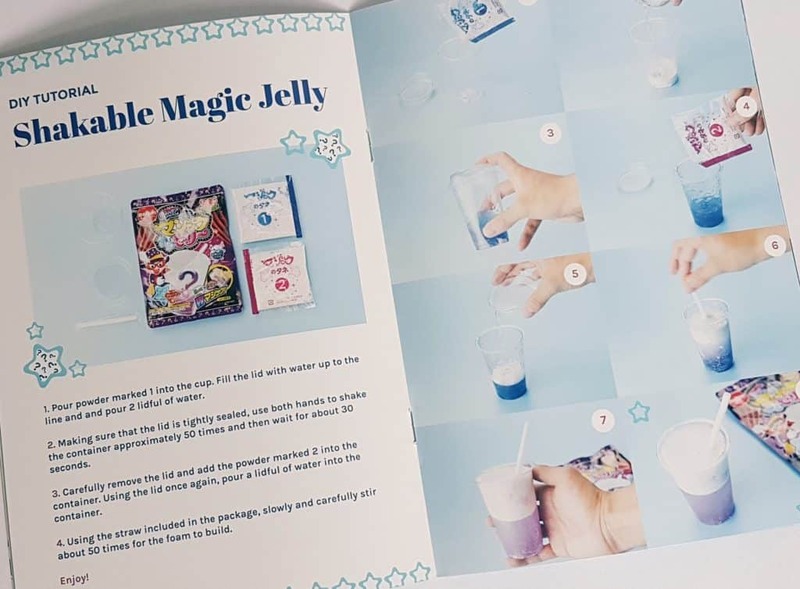 This Shakable Magic Jelly is one of the slightly more complicated ones. 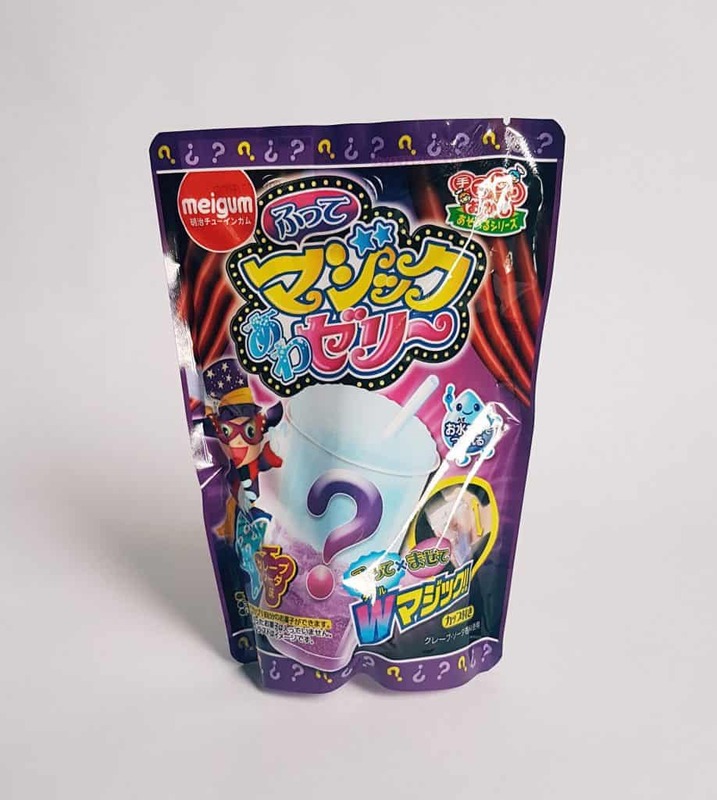 You add water and little sachets of powder to the plastic cup, shake, and it produces two layers of grape soda-flavored jelly and foam. The instructions in the menu booklet are above, if you want to see what it looks like! These Bourbon Petit Pineapple Biscuits are another summery tropical flavour. Tiny bitesize sandwich cookies with a pineapple filling are summer in cookie form. Mix them with the coconut Pocky, have a glass of rum on the side, and you’ve practically got a Piña colada! Finally, the bonus non-food item that appears in each Premium box. This little guy is a Squishy Cat, and is like a mini stress ball. 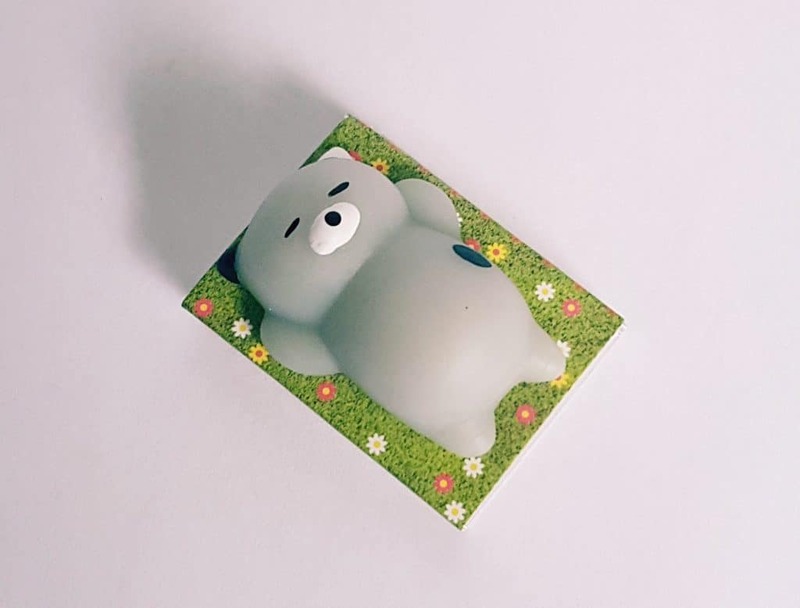 You can squish, squash, and knead away, and hopefully you’ll end up as relaxed as he is! 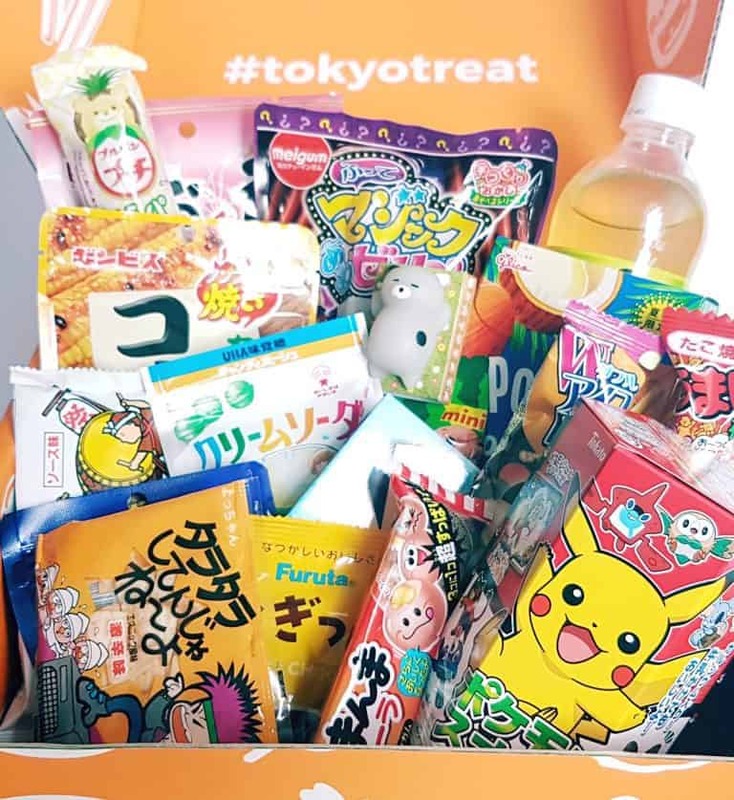 There are a lot of delicious things in this box, and they’ve definitely hit the summer theme. I’m slightly sad there were three items I couldn’t eat (including my beloved Umaibo <sob>) but I know my husband will take them to work and enjoy them. 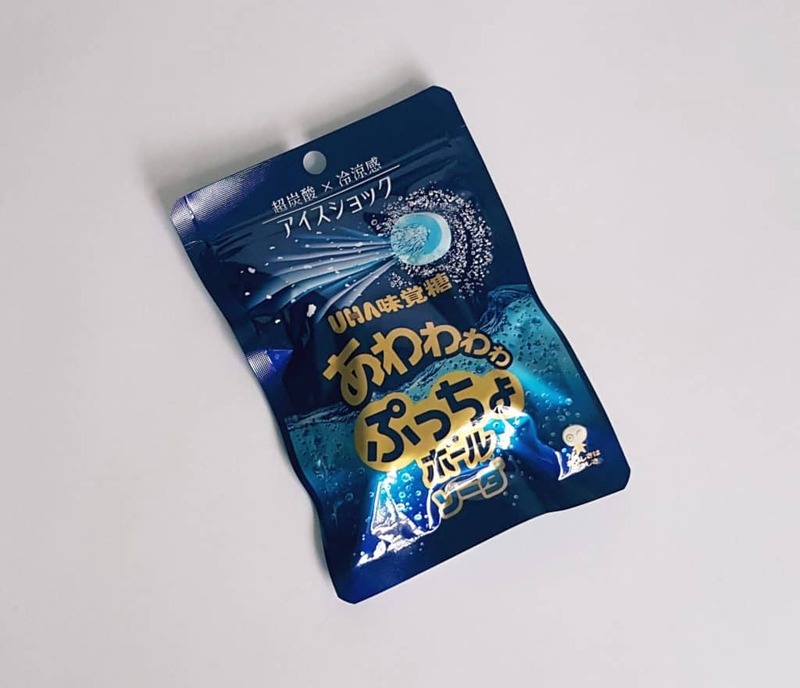 It also goes to show that while UK shellfish-flavoured things, such as prawn cocktail crisps, don’t actually contain any shellfish, in Japan, flavours actually come from the real thing. I love savory as well as sweet snacks, and the only savory item I could eat was the corn sticks. They were, however, very nice, if slightly odd, simply because I’m not used to the taste of corn with such a crunchy texture! This month’s DIY kit was especially cool, you really had to work to make it, and the double textures were a lot of fun. 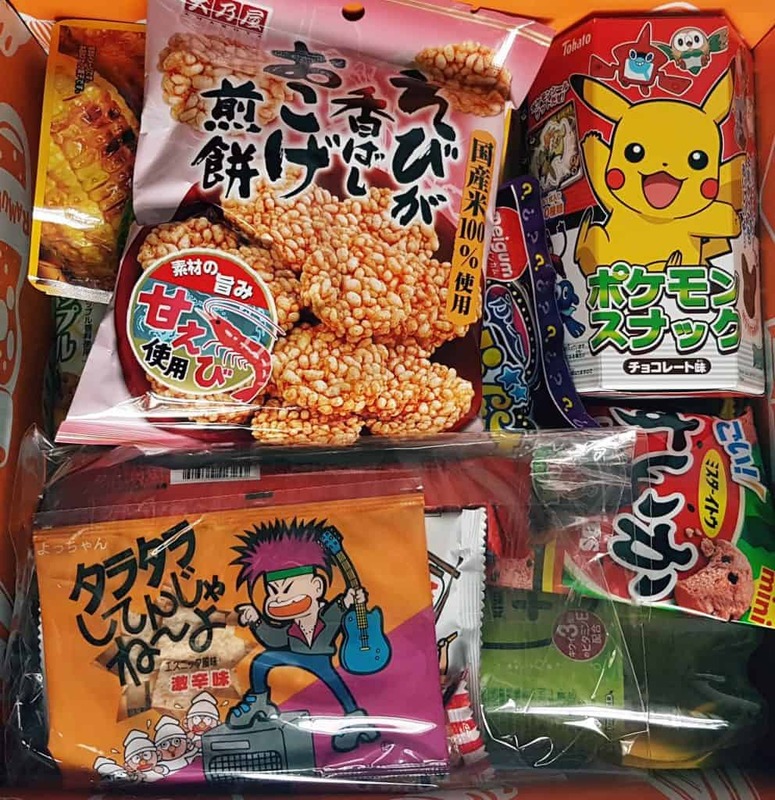 One of the best things about this box is the opportunity to try so many flavours that are unfamiliar in snack form. Watermelon cookies? Chocolate barley puffs? Kiwi soda? Awesome! Another bonus is the lovely packaging. The Japanese do their packaging design really well, and I love the abundance of cute characters and bright colours. Value-wise, you’re always going to get the most bang for your buck with the Premium box, especially with the drink and bonus item. Everything in the boxes comes straight from Japan, and is manufactured for the Japanese market. You also get limited and special edition items that will never be imported into the UK. 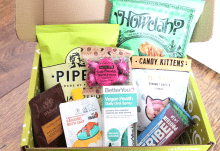 This is a great fun family box of goodies to share, but would also make a wonderful gift. Or of course just a gift for yourself; you don’t have to share with anyone if you don’t want to!